Al-Shabab, the Somalia-based terrorist group, appears to have adopted a new strategy to turn its Islamist war into a nationalist conflict targeting Kenya. Following al-Shabab’s military setbacks at the hands of African Union Mission Somalia (AMSOM) troops deployed to Somalia, the group’s operations may have shifted from tactical battles to spectacular acts of terror against Kenyan civilians. Al-Shabab has been responsible for several recent operations inside Kenya that have commanded the attention of the world’s media. These terrorist spectaculars have included among others, the Westgate Mall slaughter of September, 2013; the killing of bus passengers in the Mandera District of the Northern Province in November, 2014; the assassination of quarry workers near Koromey township on 2 December 2014; and the mass murder of students in the area’s Garissa District in early April of this year. While virtually all of the victims of these terrorist attacks have been Christians, none of the murdered have been members of Kenya’s Somali population. Consequently, the killings have a religious as well as an ethnic dimension. Nevertheless, it is plausible that cells sympathetic to Al-Shabab may exist among Kenya’s urban Somali neighborhoods in the capital Nairobi and the port city of Mombasa. One neighborhood in Nairobi is called “Little Mogadishu” because it is almost exclusively populated by ethnic Somalis. There is also the possibility that some among Kenya’s non-integrated Arab citizenry, who mostly live along the Kenyan Coast and who have historical ties to Arab slave traders, might be lending financial support for al-Shabab operations inside the country. If al-Shabab is successful in transforming their jihadist terrorist war into a nationalist conflict between Somalis and Kenyans, Kenya may request greater military assistance from its American ally. The Djibouti-based American Combined Joint Task Force in the Horn of Africa may be ordered to provide that aid. Eventually, there is the possibility of a wider East African War which might necessitate U.S. “boots on the ground”. 1 Somali Nationalism by Saadia Touval. Harvard University Press: Cambridge, Mass. 193, pp.147-154. 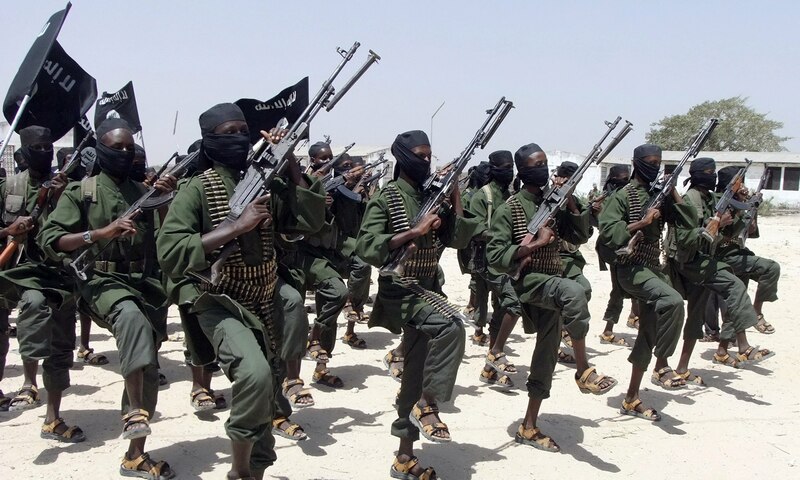 3 “Al-Shabab Exploits Kenyan Crackdown to Recruit Muslim Youth” by Muhyadin Ahmed Roble. 6 Vatican Radio 10 April 2015, Interview with Bishop of Garissa Joseph Alessandro.